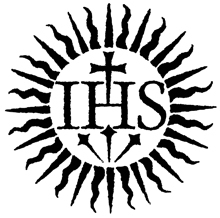 Today, July 31, is a very special day for Loyola University New Orleans, for it is the feast of St. Ignatius of Loyola, who is the founder of the Jesuits and the patron saint of our university. An Interfaith Ramadan Iftar Meal will be held on Tuesday, June 12 at the Danna Center of Loyola University honoring World Refugee Day. Gathering at 7:00 PM followed by Presentation Meal at Sunset! An interfaith service of gratitude and peace, with pot luck afterward!